With tax season upon us, it is a good time to understand some of the IRS audit red flags to look out for. While there is no way to avoid an IRS audit entirely, it is worth understanding the audit red flags that the IRS raises that increase your chances of being audited. Some are avoidable, while others are cannot be avoided, because certain tax filing circumstances increase your chances of being audited by the IRS. 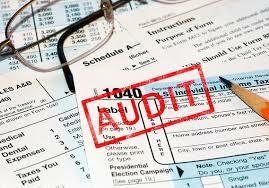 First, let’s look at some facts about IRS audits of tax returns. The IRS audited less than one percent of tax returns during 2014, or 0.86% to be precise. The IRS has lost 5% of its budget for 2015, so the audit rate by the IRS is likely to be even lower during 2015. The most important factor that increases your chance of being audited is how much income you earned during a tax year. People who made more than $200,000 were subject to IRS audits in 2014 at a rate of nearly 3%. Those that made over $1 million were audited at a rate of 7.6% during 2014. Income is not the only factor that increases a tax filer’s chances of being audited by the IRS. Other tax filing situations, from the types of deductions claimed to how you conduct business, can increase your chances of being audited. Even honest math mistakes on a tax return can bring on an audit. 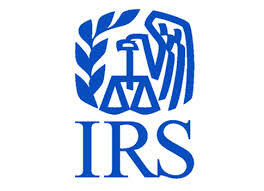 Knowing this, it is a good idea to learn about common IRS audit red flags. 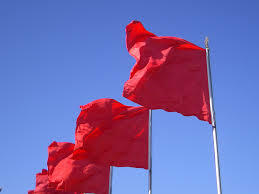 The first common IRS audit red flag to look out for is an easy one to avoid. Never fail to report all of your taxable income. Any income forms you receive from employers, including 1099s and W-2s, are also sent to the IRS. It is just plain foolish to leave out income that the IRS knows that you have earned. Deducting large charitable donations that are higher than average deductions for your income level is another way to draw the IRS’ attention. The IRS keeps statistics regarding how much people at a particular income level typically give annually in charitable deductions. Being outside of the normal range could draw their attention. Make sure you keep all receipts from charitable donations. You may very well be able to legitimately deduct large donations on your tax return. Just make sure you have the documentation to back up any charitable donations you take. Running a small business and filing a Schedule C with your tax return may bring additional scrutiny from the IRA. There are number of small business tax deductions that can be claimed on the Schedule C. The IRS is well aware that small businesses, especially ones that run on cash, can easily under-report income or take excessive deductions. Make sure your Schedule C form is filled out correctly. You cannot write off a loss from a hobby. Income from hobbies must be recorded as regular income, but losses cannot be written off in the way that business losses are written off, because a hobby is not considered a business. Large deductions for meals, entertainment and travel written off on Schedule C by business owners or Schedule A by employees can attract the attention of IRS Auditors. This is another write off that the IRS keeps statistics on. If your write offs appear excessive based on your type of business, the IRS may flag it for an audit. Make sure you keep proper documentation to substantiate any deductions for meals, entertainment and travel. Failing to report a foreign bank account is something the IRS is very focused on these days. With the Federal government trying to reign in the practice of stashing money overseas to avoid United States taxes, failing to report a foreign bank account is almost certain to cause an IRS audit inquiry. The United States government has been actively trying to uncover unreported bank accounts in foreign tax havens. It is better to come clean with the IRS and pay a reduced penalty, rather than have them come down on you for stashing money in an undisclosed foreign bank account. Claiming the home office deduction as part of your tax return is something the IRS can focus on for an audit. This is because the home office deduction has strict guidelines that many tax filers either do not understand or chose to ignore when taking the deduction. The key thing that many people do not understand is that a home office must be used exclusively for business. It cannot have duel uses. Claiming excessive use of a vehicle for business purposes is likely to gain the attention of IRS Auditors. Make sure you keep records regarding how many miles you logged each day for business purposes in your vehicle, in case you need to prove to the IRS that your vehicle was actually used for business purposes to the extent that you claimed on your tax return. The whole point of understanding IRS audit red flags is to ensure that you are filing your tax return correctly to avoid IRS tax penalties. The IRS breaks down incorrect tax returns into two categories: 1) tax fraud, which is a willful act of fraud that is done with the intent to defraud the government of the United States 2) careless acts, which includes honest mistakes and errors on a tax return. An IRS Auditor will determine whether an error on a tax return is tax fraud or a careless act. The difference in penalties is significant. Tax fraud carries with it a 75% civil penalty on top of the base amount of tax owed. A careless mistake on a tax return would generally increase a tax bill by 20%. The take away is to be careful when filing your tax return and understand the IRS audit red flags. As a last resort, you can always appeal an IRS decision in the federal courts; however, that is an expensive endeavor that may not be worth pursuing. Stay up to date on stock trading ideas by getting on our FREE eMail list! Msg&data rates may apply. To unsubscribe, text STOP to last text message received. Available in USA & Canada. Up to 10 msg/mo. Your privacy is always protected and your information will not be shared.